Contrary to nationalist legend and schoolboy history lessons, the British Empire was not a great civilizing power bringing light to the darker corners of the earth. 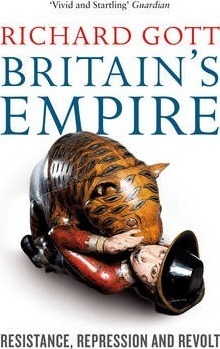 Richard Gottâ€™s magisterial work recounts the empireâ€™s misdeeds from the beginning of the eighteenth century to the Indian Mutiny, spanning the red-patched imperial globe from Ireland to Australia, telling a story of almost continuous colonialist violence. Recounting events from the perspective of the colonized, Gott unearths the all-but-forgotten stories excluded from mainstream British histories.